Armlann EH line, Just Hit It! EH line, Just Hit It! I'm happy to introduce the new EH line (Just Hit It!) from Armlann. 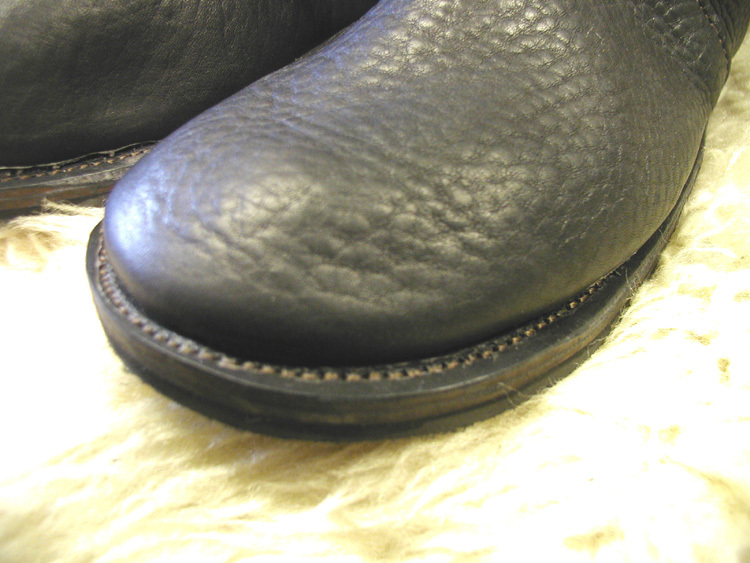 For this footwear, I use a method of construction that allows a sole to be stitched to a welt that is stitched to the upper. This construction makes the shoe or boot very strong and gives it the ability to take a lot of punishment. There are also four layers of material between your foot and the ground. Your foot rests on soft suede which rests on a layer of the same material your footwear is made from (6-7 ounce bullhide). 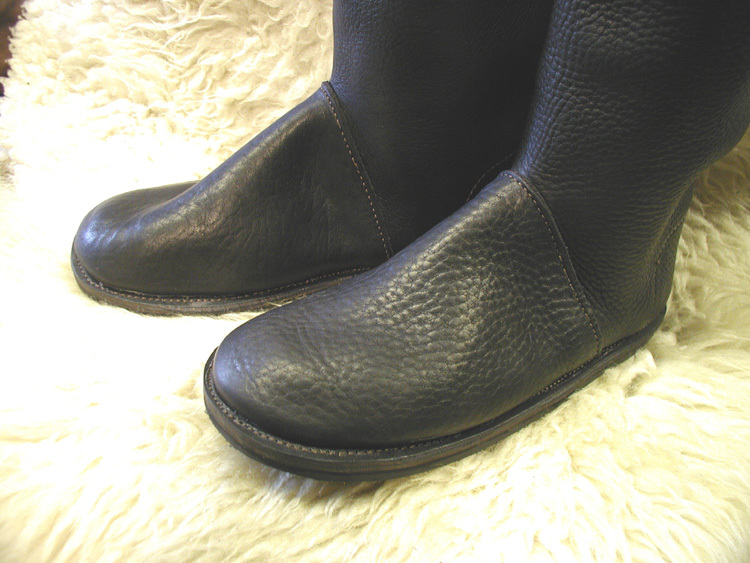 That layer of bullhide, which matches your upper material, is stitched to a layer of 7-8 ounce vegetable tanned leather. 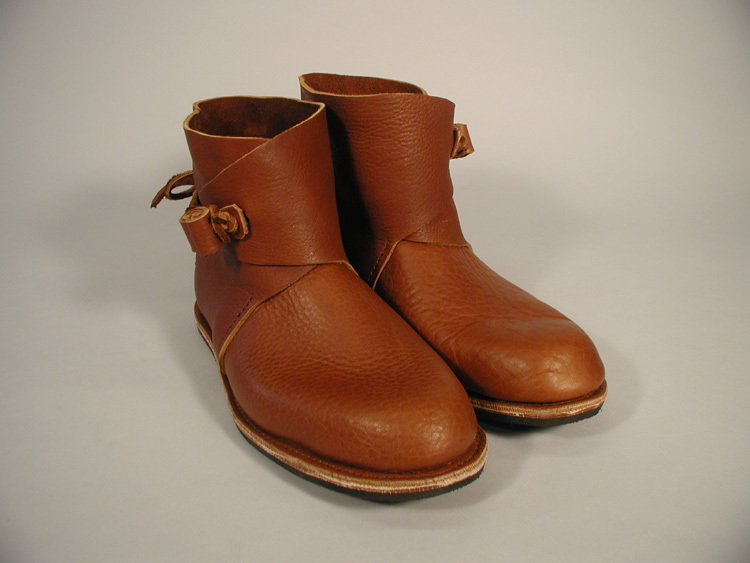 After that comes a layer of leather (10-11 ounce vegetable tanned) or a layer of rubber, your choice. 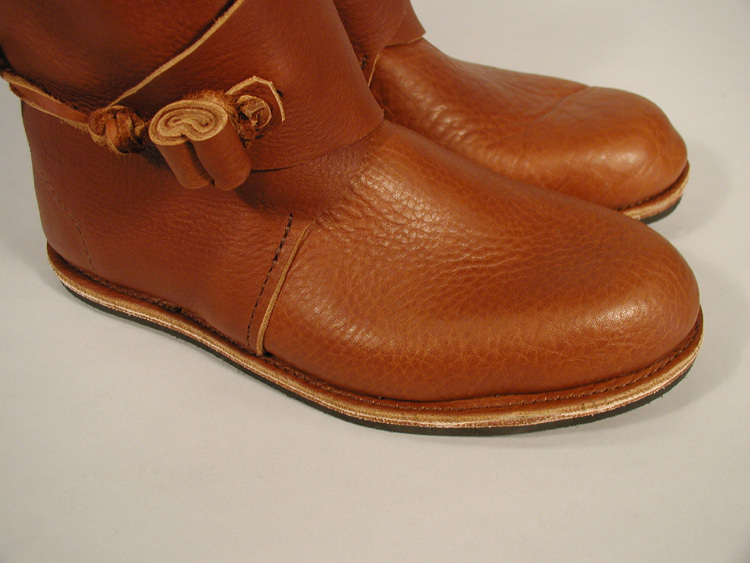 As you can see from the pictures below, this process makes for a very attractive and very strong shoe or boot. The visible machine stitching is more than made up for in strength and durability. The edges have been left unfinished on the first three pictures in order for you to see the construction. Depending on your individual needs, you can add ankle support or insoles for an all day comfort fit. If you want a shoe or boot that fits into the look of your kit but don't want to sacrifice comfort or durability, consider the EH line (Just Hit It!) from Armlann. 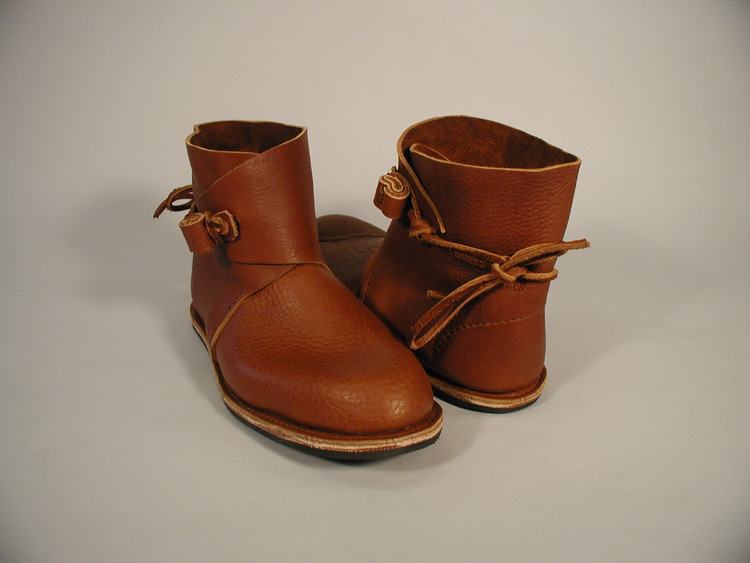 All footwear is made in America in my shop.